Hannah Goldring ’19 wanted to study abroad to get out of her comfort zone. She got to get away from campus and have a change of pace. She feels like study abroad is a way to gain new perspectives and be able to travel while still being able to take courses, too. 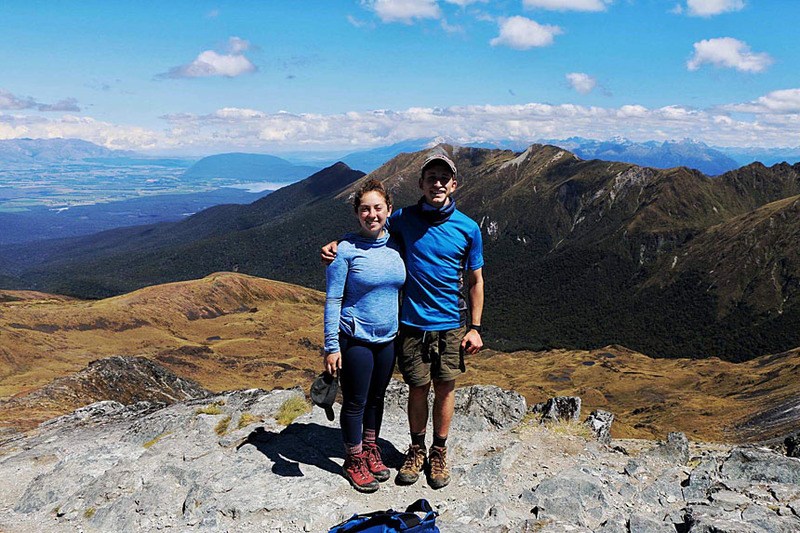 Hannah attended the University of Auckland in New Zealand, through the IES program. She took three courses towards her Biomedical Engineering major requirements, and one class just for fun. She says her experience abroad gave her a lot of confidence and motivation to travel more. She made new friends and learned a lot about herself, and traveled on her own a lot. She says that “[it] is so important to get outside of the bubble we are in during college and have new experiences so that we can look at life through a more complete lens.” She says it is good preparation for life after graduation. Hannah found it very easy to arrange studying abroad. She recommends choosing a program and submitting paperwork early. She worked with Taimi Marple, who is the BME undergraduate coordinator, with the study abroad office, and with other students who were part of her same program. She was able to use her Research and Innovation Grant to offset some of the flight expenses to and from New Zealand.